Children would make us happier – if supporting them wasn’t such an expensive endeavor, a new study suggests. In the US, 40 percent of people report struggling to afford basic life necessities like housing and food. The alarm has been sounded in the US over declining fertility rates, but at long last, women are actually starting to have more children again – they’re just waiting until later in life. And new research on European families conducted by the National Bureau of Economic Research suggests that that shift could change the way those children effect their parents’ happiness. 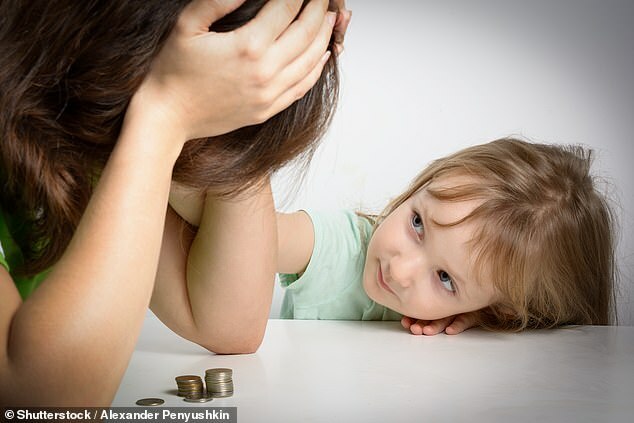 The study, undertaken by Dartmouth College and the Paris School of Economics, found that children have a neutral or negative impact on their parents well-being, primarily as a function of the constant financial burden they impose. But when families have kids later in life and are more financially stable, their kids do in fact make them happier – with some notable exceptions, the study found. The strange relationship between parental happiness and children has remained a continual fascination for sociologists, social psychologists and economists alike. The American Dream comes with a prescription for 2.5 children and a white picket fence, yet research on how having a family makes us feel is hardly as clean cut as the grass behind that fence. So why do we keep having them, or, why do they keep making us miserable, the new National Bureau for Economic Research report asks. To do so, the researchers looked at 10 years-worth of survey data collected on over a million Europeans. The simplest explanation or a complicated series of answers to their basic questions is that the effect of children on their parents’ happiness depends on who the parents a re and what kind of kids they have. For example, children who were described as ‘well-behaved’ tended to make their parents happier – as did children under two (but things take a darker turn from the terrible twos onward). But if parents were single, divorced separated or widowed, having children did nothing to make them happier. Stepchildren make parents the most miserable, according to the new research, as do teenagers. But no factor made as much difference in how happy children made their parents as money. ‘Children are expensive, and controlling for,’ or eliminating ‘financial difficulties turns almost all of our estimated child coefficients positive,’ wrote the study authors. They’re not wrong. In the US, raising one child from birth to age 17 costs a middle class couple with two kids a cool $233,610, the US Department of Agriculture estimates. To raise a child to 18 in the UK costs parents about £150,753, according to recent research there. That’s about $33,000 cheaper than the US cost, but still no steal. Although people over 45 and people under 45 were, overall, happiest when they were married but without children, when money was controlled for, children actually made little difference in their parents’ happiness. But in reality, money can’t simply be mathematically removed from the happiness equation, and, in prior research, we have seen that older, more financially stable parents are happier, and happier with their kids. And this might just bode well for the growing number of women waiting longer to start families and have more children. ‘Controlling for financial difficulties we then find that children now increase happiness,’ the authors wrote.